Aluminum is used frequently in the cosmetics industry for packaging. Not only is it a lightweight metal, it is also very strong and durable, making it a multipurpose material. The metal can be used for many applications from cans to tubes. It is also often recycled, creating less strain on the environment than plastic or other materials. Here are ISO standards for containers and other requirements that cosmetic vendors should meet. 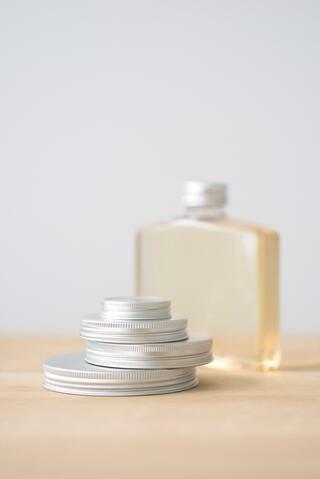 There are many advantages to using aluminum containers to protect cosmetic products. Not only is aluminum strong at eliminating unwanted environmental factors, it is also flexible enough that it can take on whatever shape the primary package calls for. It is a sustainable choice since aluminum can be used over and over. A significant percentage of aluminum is recycled since it helps cut costs and the material is not easily damaged. The majority of collapsible tubes are made of aluminum. A huge advantage to collapsible tubes is they can shut out germs and protect the temperature of the product. Tubes prevent the moisture from affecting the product. Any type of metal also has an unbreakable quality that makes it a strong choice for product protection. Aluminum is a widely used metal, partly because it is cost efficient and partly because it's perceived as environmentally-friendly. Many companies of all fields favor a green image, as it shows they care about their communities. Aluminum cosmetic containers should meet requirements of the ISO 22715. While ISO 22715 is not legally binding, it is however, the common denominator of most of the national regulations that apply to the packaging and labeling of cosmetic products. Country regulators refer to ISO standards as guidelines to best practices for the various sectors for which they apply. Often, in order to comply with a local regulation, an individual, business or manufacturer must comply with the applicable ISO standard(s). The container must be compliant in its functions, such as safely storing the product and protecting it from damage. The main requirements involving listing product information on the label. The function and contents of the product must be listed, along with company contact information. In some cases instructions must be placed on the container when use of the product is not widely known. The label must also warn consumers of any possible dangers from misuse and what to do for safety measures. ISO standards are clear about how labelling must be fair to the consumer. Misleading information is not permitted, especially when it comes to ingredients. Labels must clearly state any information that will be helpful in properly using the product. The label must be visible to the consumer on the outer packaging, so that the consumer can read what they are buying. A tag or leaflet must be added to the packaging anytime the full information does not fit on the label. Consumers must be able to read the ingredients. Most of the regulations issued by the FDA and the EU related to the product and how it is packaged. EU and FDA's requirements mainly focus on correct and sufficient customer information as well as product safety. Since aluminum is a solid choice for protecting against product degradation, it does not face the regulatory hurdles that certain materials such as glass or plastic might face. A key advantage to aluminum is that a label can be printed directly on the metal, saving a step in the process. Due to aluminum's ability to preserve the quality of a product from environmental elements, it's a popular choice as a primary package. Aside from tubing, it can come in the form of a jar, box, bottle, foil, trays and lids. Aluminum does not pose any risks of harm to human health, so it can be used for many applications, including spray bottles. The FDA has approved aluminum powder as a safe substance for cosmetic colorants. The reason aluminum works as a recycled product is that it is free of contaminants and corrosion. It also does not absorb chemicals from cosmetic products. It easily meets container requirements for all facets of the beauty industry, including color cosmetics, skin care solutions, fragrance and health and beauty aids. In order to avoid getting tagged as misbranded by the FDA or the EU, which can lead to a recall, a manufacturer must test the product and packaging for safety. Aluminum is a widely favored choice as a packing material for the cosmetic industry. Made of recyclable material, it is very efficient on many levels, particularly on cost and sustainability. The material is so strong and durable that aluminum easily meets ISO, FDA and EU requirements for protecting the product. Since aluminum is a lightweight material, it helps cut shipping costs. The postings in this blog section do not necessarily represent Desjardin's positions, strategies or opinions.